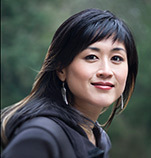 Jenn Lim is the CEO and Chief Happiness Officer of Delivering Happiness, a company she and Tony Hsieh (CEO of Zappos) co-created to inspire happiness in work, community and everyday life. Janet Callahan currently holds the position of President and COO of a second generation family owned heavy highway and construction materials company - Palmer Paving Corporation. She has served in this capacity since 2006. Her responsibilities include oversight of all operations of the company to ensure the highest possible profitability while focusing on environmental stewardship, safety, cost effective resource management, quality and customer service. She has extensive knowledge and experience in business development, strategic planning, administrative and financial management as well as labor relations. She also is responsible for the oversight of numerous family business operations that support the core business. 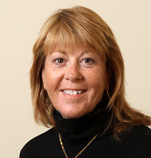 She has served and currently serves as a board member on several industry related trade groups – including board member, officer and Chairwoman of Construction Industries of Massachusetts in 2010-2011. A critical component of her business and personal life is in giving back to the community in a number of ways. Janet oversees the company’s extensive community-based giving program. She also serves on numerous community-based organization boards including Vice Chair of The Yellow House – a cultural lifelong learning center in Palmer and ROCA – a high risk youth organization located in Springfield and Chelsea MA. Janet holds a BA from Trinity University in Washington DC, a MS in Communications Management from Simmons College and is a graduate of the Harvard Business School (OPM) Owner President Management Executive Education Program. She has lived overseas for extended periods of time and has been able to transfer her knowledge of international culture and business into her business and personal life. She is a passionate outdoors person and enjoys everything that life has to offer: the arts, reading, language, yoga, skiing, golf, biking, and running. She is currently training to compete in a community mini-triathalon this summer – something that has become an important bucket list item!